Forming Mandels can withstand temperatures up to 550°F. 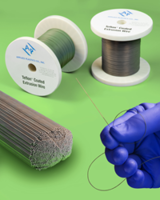 Made from stainless steel or nitinol wire, APC PTFE Natural(TM) Fluoropolymer Mandrels feature uniform, non-flaking coating that provides smooth, anti-stick surface that withstands continuous temperatures to 550Â°F with excursions to 700Â°F. 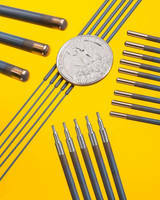 Exhibiting 0.05 coefficient of friction per ASTM-1894, mandrels are offered with release coatings in thicknesses from 0.00127-0.020 mm on stainless steel or from 0.127-1.52mm dia nitinol wire with Â±0.00254 mm final dia tolerances. High heat-resistant PTFE coated stainless steel or nitinol forming mandrels for manufacturing small diameter extruded tubing and formed rubber bladders are available from Applied Plastics Co., Inc. of Norwood, Massachusetts. APC PTFE Natural(TM) Fluoropolymer Mandrels feature a uniform, non-flaking coating which provides a smooth, anti-stick surface that can withstand 550°F continuous temperatures with excursions to 700°F. Designed to increase the output of extruded small diameter tubing, formed rubber bladders, and similar products, they are made from stainless steel or nitinol wire. 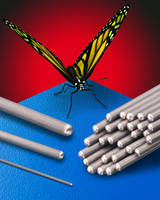 Exhibiting a 0.05 coefficient of friction per ASTM-1894, APC PTFE Natural(TM) Fluoropolymer Mandrels are manufactured using a proprietary process which involves grit-blasting the wire before applying the release coatings in thicknesses from 0.00127mm to 0.020mm onto stainless steel or nitinol wire from 0.127mm to 1.52mm dia. with ±0.00254mm final dia. 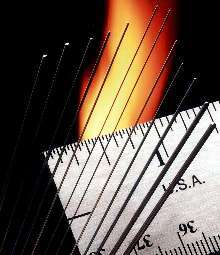 tolerances. 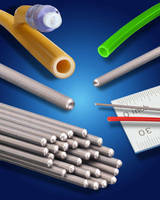 APC PTFE Natural(TM) Fluoropolymer Mandrels are priced from $1.19 per foot; with delivery from stock. Free samples and literature are available. 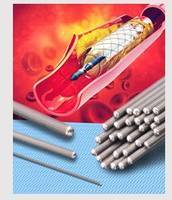 PTFE Natural® Grey Forming Mandrels are chemically inert. Stripping/Recoating Service renews fuse welding/tipping mandrels. 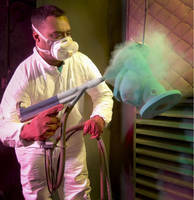 Powder Coating Service imparts chemical-, corrosion-resistance.